OSWEGO – Two Oswego Middle School String Orchestra students, Sonja Anderson (Viola), and Sasha Loayza (Violin) were accepted to participate and perform in the Junior High Area All State Music Festival in Cortland. 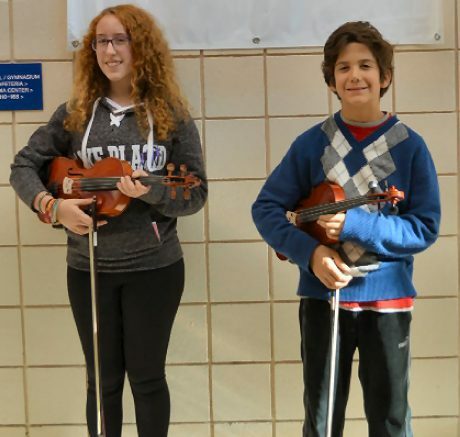 They were chosen from among students in music programs all over Central and Northern New York. Their performance was November 5, 2016 in Cortland.